Hello people I am back from my trip of 12 days around Italian and France coast. First day we travel from Paphos airport to Rome Ciampino... then we took the bus to the Rome Train Station (5 Euros with Terravision) , and from there the train to Pisa ( approximately 25 euros). As Pisa was in our way to Cinque Terre, we stop there for 3 hours just to take the famous picture with Pisa Tower and have a walk around the city. The train station is near to the city centre, so we walked around the city with our bags. There are not many things to see there, so a few hours there is enough, I found the city quiet similar to Florence. After having an ice cream in Pisa, we took again the train to La Spezia and we arrived there at dinner time. Almost all the trains, I booked before we start the trip, because the prices are different from hour to hour... so I tried to find the cheapest between the times that I wanted to go. Before we start the trip, I did a search in all the trains or bus that we need to take, to have an idea of prices and times. Italy and France have very good trains connections.. so its very easy to go around just using train. 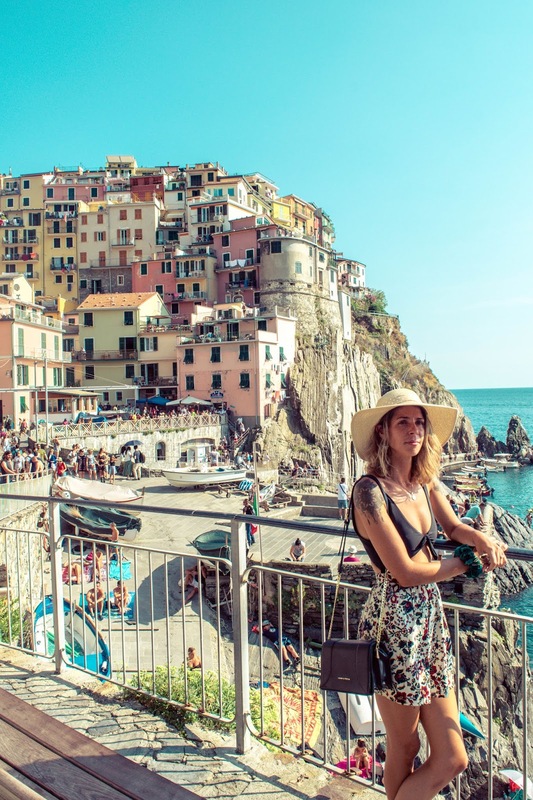 La Spezia is a small city near to Cinque Terre, here normally everybody stays because its cheaper, and most of the villages of Cinque Terre are small and packed, so is not easy to find accommodation there. We stay in a place 5 minutes walking away from train station called B&B La Spezia Centrale, really cosy place with breakfast included. 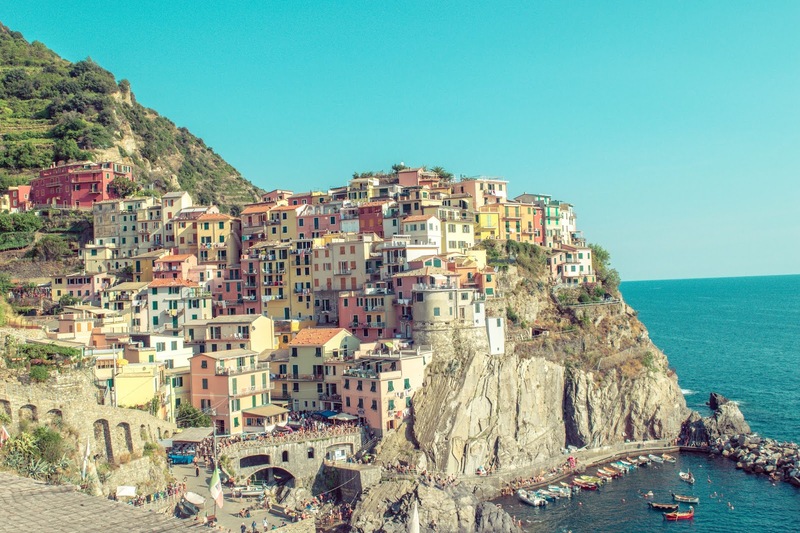 So we took just one day to visit Cinque Terre, I read in some blogs that it could be possible be done in one day only, and it worked. 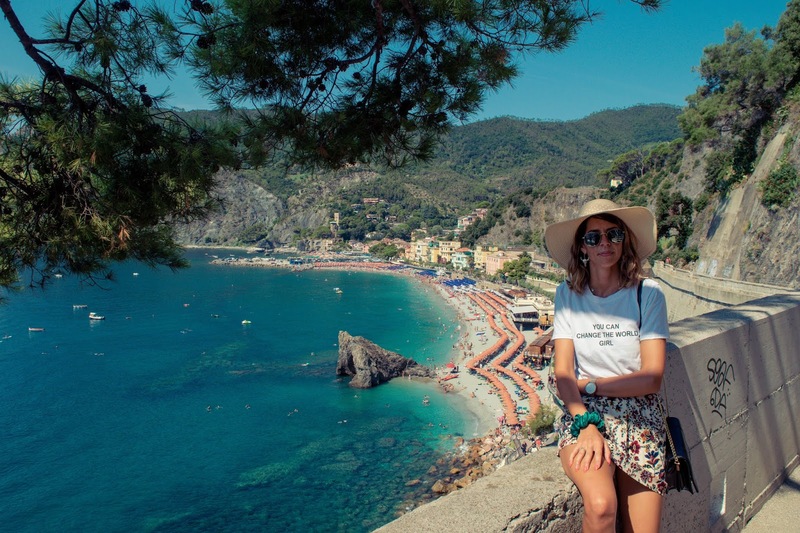 We bought I pass of 16 euros that gives you acess to all the trains between the villages, acess to wi-fi on the train stations, and acess to the natural trail from Monterroso to Vernazza. 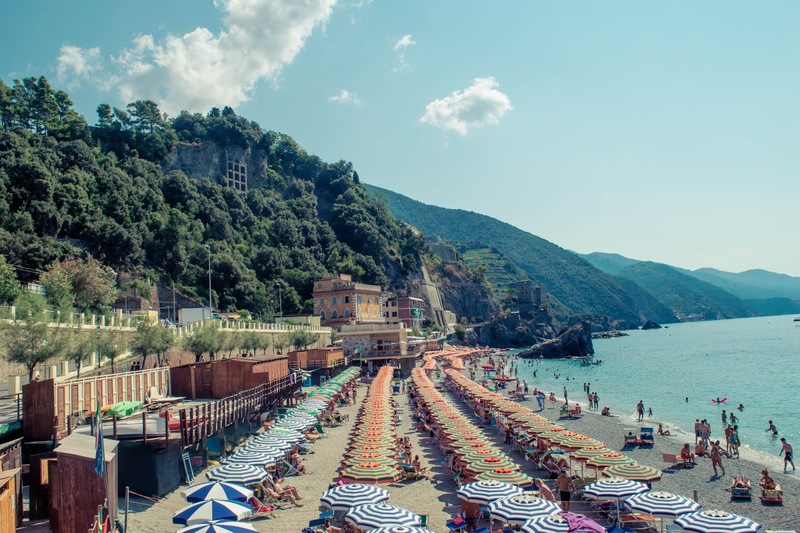 We decided to start from the last village, in our case Monterroso, that took us around maybe 20 to 30 minutes by train, instead of Riomaggiore, that was the closest to La Spezia, and here the most of the people were starting the trip. 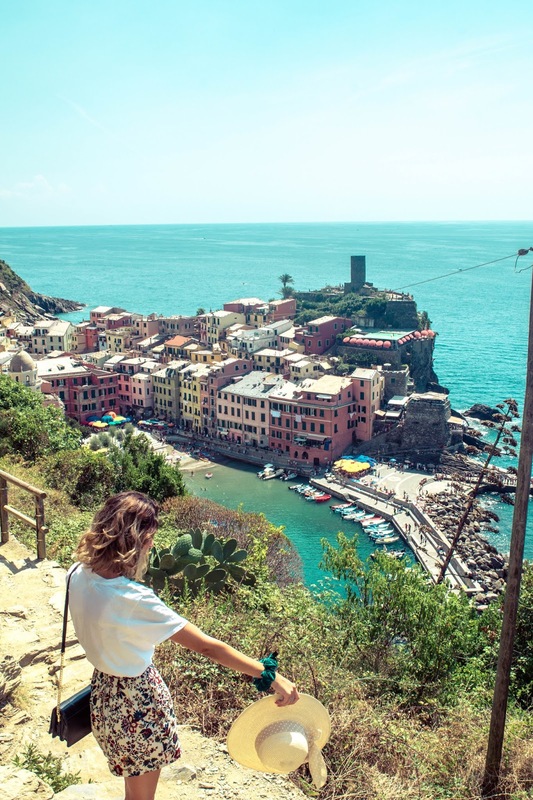 I wanted to make a walking trail between the villages and my idea was to do the Via del Amor that was just 20 minutes between Manarola and Riomaggiore, but IT WAS CLOSED, so they said to us that we could do the one from Monterroso to Vernazza, that was the easiest between the ones available. It took us ONE AND HALF hour... OMG I was dying, we did so many stairs, its was midday so even worse, and at certain time I was feeling dizzy...but thanks god we had some fruits and water with us, so we manage to survive, but honestly I don't think that was worth it, because it made us to get very tired for all the rest of the day. 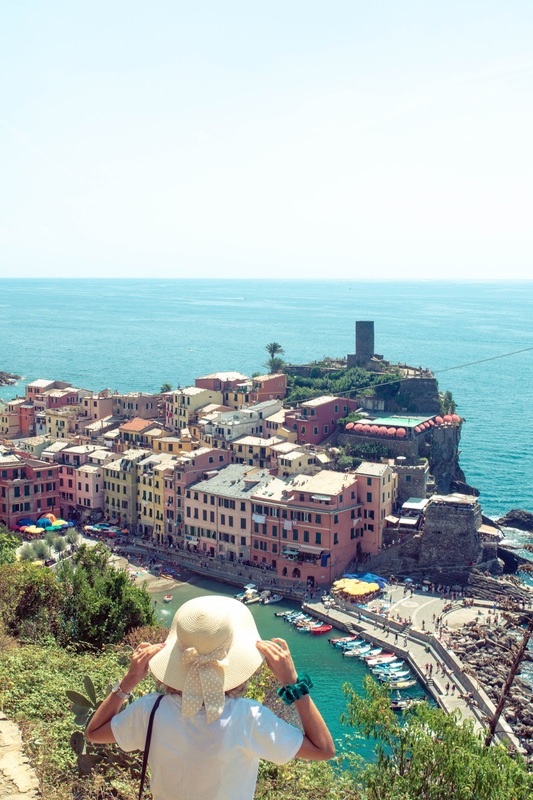 After the trail we arrive to Vernazza, the view from the mountain was perfect. We had lunch there... they have many small shops for take away, and after we went to swim, so good after the huge walk, so don't forget to pack your swimwear. 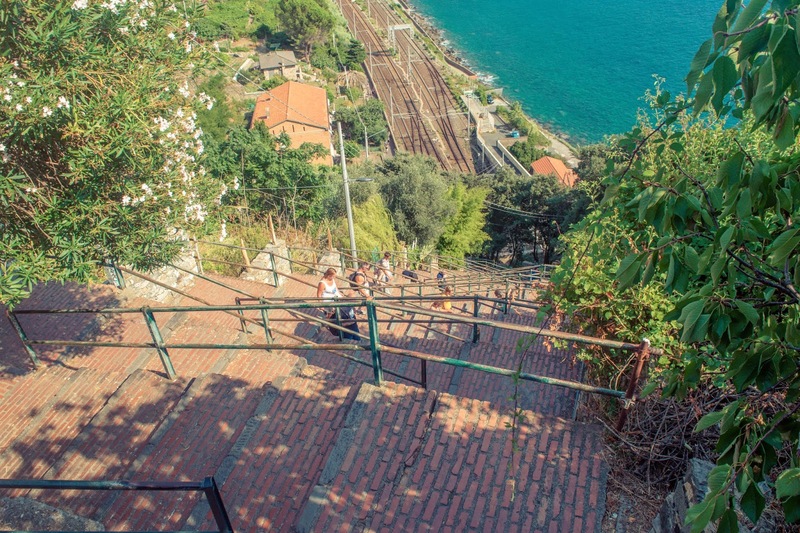 The next village was Corniglia... again we did so many stairs to go up and at the end wasn't something special... so if you don't have that much time, you can easily escape this one. The trains between the villages come very often, between maybe 5 to 10 minutes. 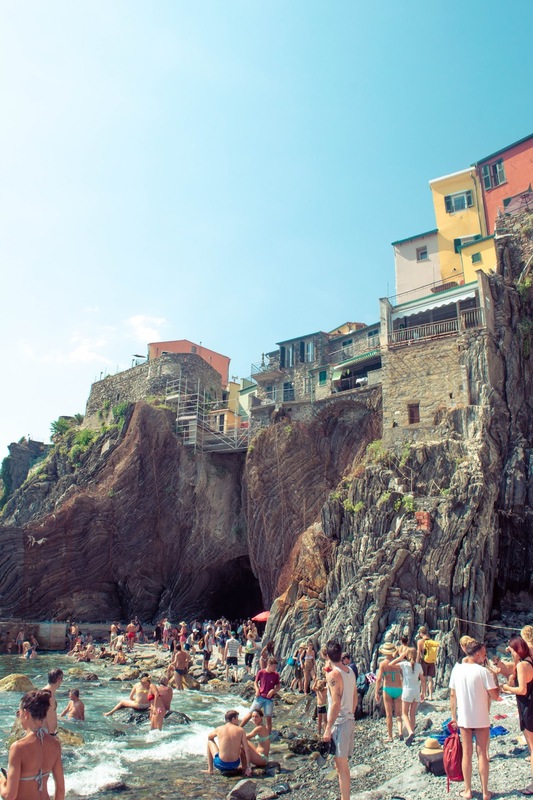 Manarola was one of my favourite villages ... is perfect to go there for a swim too... it was so many people enjoying the sun. The view was incredible, I liked so much the house colours. As you can see it was packed of people, as well because it was Saturday. Riomaggiore was the last one.. it was very pity that we were so tired and we didn't see almost nothing there, but it was as well very beautiful village. 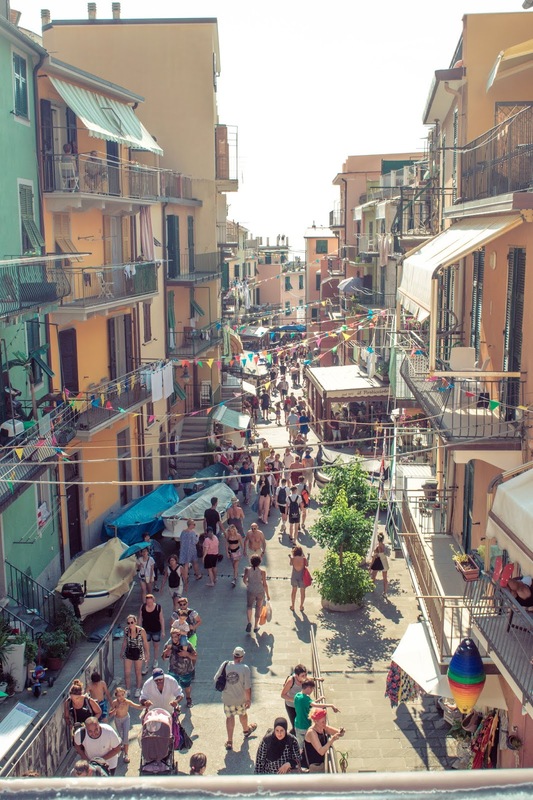 I don't have any nice picture, because my amazing photographer was testing the effects on the camera and all the photos from Riomaggiore are blurred. 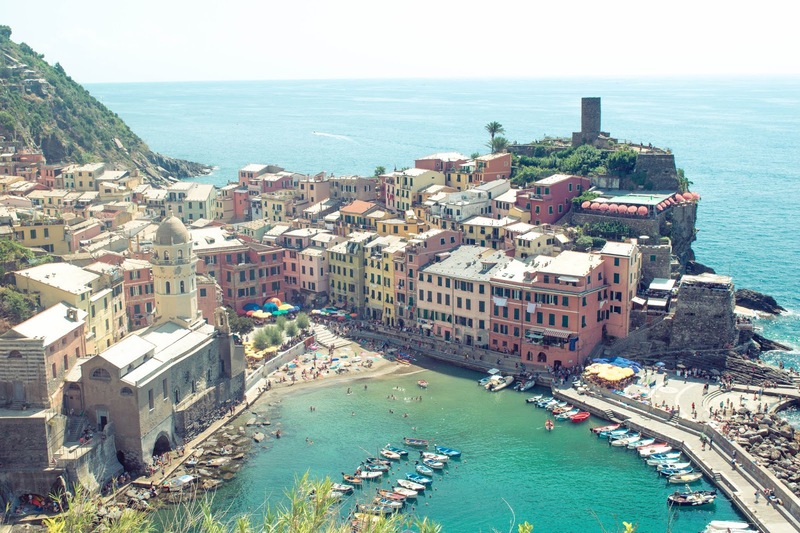 For me my favourites were definetly Vernazza and Manarola. A good thing in Italy and France is that you always have fresh potable water everywhere, so in every village we were filling our bottles. If you want to know more information... please leave a comment down bellow.